Intrepid users could earn up to $250,000. Microsoft has announced the Windows Bounty Program with rewards as high as $250,000 for users who can find bugs in Windows 10. While the company has had a number of previous bug bounty programs, this is the first one to target features in its Windows operating system specifically. Microsoft's new program not only covers Windows 10 but also Windows Insider Preview which is geared towards testing new preview builds of its operating system as well. The Windows Bounty Program has four specific focus areas that include Hyper-V, Mitigation Bypass, Windows Defender Application Guard and Microsoft Edge. For those interested in the largest bounty of $250,000, the only option is the Hyper-V program though users will be able to look for bugs in Windows 10, Windows Server 2012, Windows Server 2012 R2 and Windows Server Insider Preview. The second highest reward of $200,000 will be available for those focusing on Mitigation Bypass, however it will only be limited to Windows 10. The Windows Defender Application Guard program will offer a top reward of $30,000 while the Microsoft Edge and Windows Insider preview programs will both offer max rewards of $15,000. 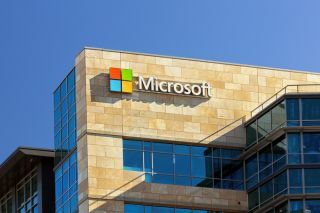 Microsoft is not the first company to offer a bug bounty program and they have grown in popularity over the years as security exploits have increased in scope and severity. Interested users can find out more information on the official page and read over the rules of the Windows Bounty Program.